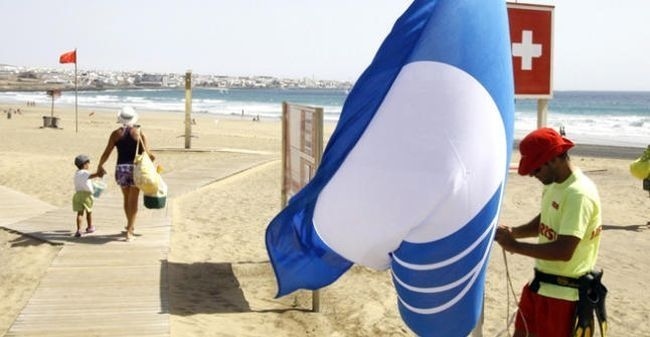 One of every four beaches in the Canaries (45 in total) and five ports may raise this year the blue flag, a symbol of environmental quality and tourism value added in its thirteenth edition recognizes the efforts of 24 municipalities of the islands. The award ceremony of the Blue Flags archipelago was made today at a hotel in Las Palmas, which was attended by the Director General of Public Canary Government Health, Ricardo Round, and Vice President of ADEAC, the association of Environmental education grants these awards, Javier Palacios, as well as representatives of several municipalities. Blue flags credited compliance standards such as water quality or proper environmental management and the existence of health services and rescue. In Tenerife 2016 Blue Flag Beaches will fly on 15 beaches and two ports. Arona has regained its blue flags in this year’s awards. The council is understandably ecstatic that Los Cristianos beach and Playa de las Vistas will again see two blue flags flying, two of the fifteen that Tenerife was awarded for 2016, back up to normal standard again! The flags go to El Médano and La Jaquita in Granadilla; Troya I & II, Torviscas, Fañabé, and El Duque in Adeje; Las Vistas and Los Cristianos in Arona, the Piscinas de Bajamar in La Laguna; El Socorro in Los Realejos; San Telmo and Complejo Playa Jardín in Puerto de la Cruz; Playa San Juan in Guía de Isora; La Arena-Mesa del Mar in Tacoronte and for the 29th year running, Playa La Arena in Santiago del Teide. There are also blue flags for the sports ports of Los Gigantes and the Real Club Náutico de Tenerife. In Gran Canaria, on 12 beaches and two ports. In Lanzarote, in six beaches and a port. In Fuerteventura, in six beaches. In La Palma, five beaches. In La Gomera, on a beach. To assess compliance, the ADEAC contrast to the Directorate General of Coasts (Ministry of Agriculture, Food and Environment), information on the quality of bathing water in the Ministry of Health, reports the autonomous communities, maps European Commission and an annual inspection, in addition to completing a questionnaire 170 mayors questions. 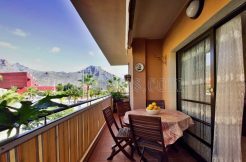 The Councillor for Tourism of Las Palmas, Pedro Quevedo, has described this act of “important” for the Canaries and an “absolutely strategic” sector represents 30% of GDP and also to the Canary people themselves. In his view, the fifty awards granted to the islands is “highly satisfactory” because the proportion of blue flags on the coast of the Canary Islands is “high”. “We interpret the blue flags as a tribute and also as a challenge, because now some awards and we’ll go out on the beaches and ports is achieved and immediately we must continue working to maintain and improve what has been achieved so far,” he added the City mayor also second lieutenant. Whilst most people are aware that Blue Flag certification guarantees the quality of bathing water this is only part of the criteria. At this point it is worth stressing that a Blue Flag beach is not necessarily any better than other beaches. The Blue Flag award is ideally suited to resort beaches with plenty of facilities. This includes information on the Blue Flag award itself along with details on the water quality. A beach map including locations of facilities must also be displayed. Second on the list is what most people assume the Blue Flag is all about. The most important stipulation is that no industrial, waste-water or sewage-related discharges should affect the beach. 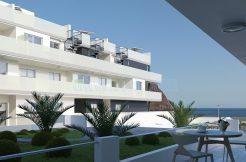 These criteria include the administrative side of things as well as keeping the beach clean. It also states there must be toilets available to the public. At the top of the list here is the beach should be patrolled by lifeguards. Other criteria include availability of drinking water and accessibility features. The certification process is carried out every year and beaches can lose or gain their Blue Flag status.